What are fibroids? Do you have to do anything about them if you do have fibroids? What kinds of problems to people have if they have fibroids? What kinds of treatment are available? These are some questions that I will answer for you today. Fibroids are growths of the smooth muscle of the uterus. They can be small (a few millimeters in diameter), or very large (up to several inches in diameter), or somewhere in between. (Personally the largest uterus that I have seen from fibroids was about the size of an 28 weeks pregnant uterus and she was not pregnant). There can be just one fibroid, or there can be several or many. Most of the time the fibroids are NOT cancerous. They are usually benign. In a very small percentage of the time, (less than 1%) a fibroid may cancerous. If you have fibroids in your uterus, your doctor may want to monitor the growth of the fibroid by either doing an ultrasound (where the fibroids can be measured in millimeters or centimeters), or by doing a pelvic exam where the size of the uterus is compared to a pregnant uterus. Then if the pelvic exam is repeated in about 6 months, you doctor can tell whether the uterus has gotten bigger or not. Not all fibroids require surgery. The fibroids that cause problems such as, pain or bleeding, infertility, pelvic pressure, or urinary symptoms are the ones that need treatment. Whether or not someone experiences symptoms due to their fibroids, depends partly on the location of the fibroids in the uterus. They can be embedded deep within the muscle of the uterus (and are called intramural fibroids) and these ones typically cause a considerable amount of pain, particularly with the menstrual cycle. Or they can be right under the lining of the uterus in the inside (and are called submucosal fibroids), and these ones typically cause bleeding problems–too much, too long, too heavy, with clots. Fibroids that are located on the outer surface of the uterus are less likely to cause problems when they are small, but can cause pressure symptoms when they get larger, as they can press on the bladder or the bowel. Sometimes the pressure can be exerted in the inner groin area, so that people experience pain that goes down the legs. Generally speaking, fibroids respond to the hormones produced by the ovary, so it is only logical to think that the fibroids would shrink once someone stops having their cycles and the hormone levels decline. However, no all fibroids shrink and so it is important to keep track of the size of the uterus. And if you should start experiencing a change in your periods–closer than every 21 days, or longer than 8 days, then you should contact your doctor. It is helpful to record your periods in a pocket sized calender in order to be more accurate in evaluating your periods. Your doctor will want to know what your cycles were like and what has changed about them. Many people that I know have just do not remember accurately when they had their last menstrual cycle or whether they were even regular or not. You may need some blood tests to check your thyroid, for menopause (depending on your age and other symptoms), for anemia, and for bleeding disorders. Gonadotropin releasing hormone (GnRH) agonists such as Lupron or Zoladex to shrink the uterus. These agents shrink the uterus to about 1/2 the size that it was before treatment, but it is not a permanent effect. Once the treatment (4-6 months), is completed the uterus returns to pre-treatment size. Radiographic uterine artery embolization has also been found to shrink fibroid for people who are done having their children and when the fibroids are symptomatic either with pain or bleeding. with this particular approach the blood flow to the fibroid is compromised so that oxygen and nutrients are not delivered to the fibroid. Subsequently, the fibroid shrinks. Surgical therapies include myomectomy (which means removing the fibroid), and hysterectomy (which means removing the uterus.) These are reserved for when other conservative options have failed to control the symptoms. 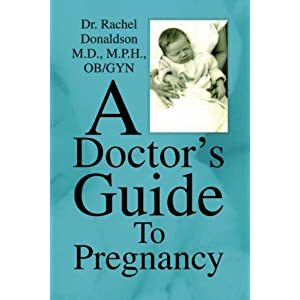 If someone selects a myomectomy, this preserves the uterus (unless there are too many fibroids) , so that the person is still able to have children afterward. Depending on the size, location, and depth of the fibroid, a person may have to consider a cesarean section for the delivery of their children should they get pregnant after a myomectomy. Check out my post on Bleeding Abnormalities and on Robotics to learn more about hysterectomy as a form of treatment.